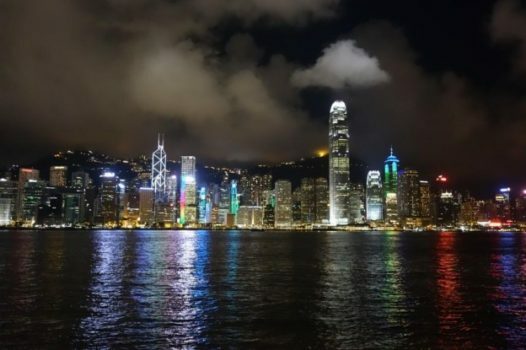 Those of you who follow me on Twitter know that I’ve made a number of visits to Hong Kong over the last few years and, even though my trips are usually busy with business meetings, I always enjoy my time there. I’m particularly looking forward to my upcoming trip this month which includes two days at the Hong Kong Call Centre Association (HKCCA) Symposium 2015 being held at Crowne Plaza Hong Kong Kowloon East on 26-27 March. Our partner company Continuous Technologies International Ltd (CTIL) is a Platinum Sponsor of the Symposium and graciously invited the Creative Virtual team to attend with them. They also helped to arrange for me to speak the morning of Day 1. My presentation, titled ‘Omnichannel Customer Engagement using Virtual Customer Assistant (VCA) Technology’, fits perfectly with the Symposium theme of ‘Ease of Doing Business’. I’ll be addressing the role natural language virtual assistant technology, also known as Smart Help, is playing in delivering frictionless, consistent and personalised customer experiences. Over the years I have had the privilege of taking part in events and meetings around the world which provides me the opportunity to speak with individuals involved in many different aspects of customer experience and support. There’s no doubt that providing easy, accurate, consistent and personalised engagement is a key focus for organisations around the globe. While it’s no secret that’s what customers want, it can still be challenging for businesses to successfully meet that expectation without the proper combination of innovative technology and experienced, expert people. I look forward to sharing some of my insights on retaining customers, boosting sales and building brand loyalty during the Symposium. If you are attending the HKCCA Symposium 2015, please join me at 9:25 am on Day 1 for my presentation and be sure to stop by our booth to learn more and chat with the CTIL and Creative Virtual teams. If you won’t be able to attend but would like more information about omnichannel customer engagement, please contact us. You can read our official announcement about our participation in the Symposium here. Don’t forget to take part in our 2015 Customer Support Outlook Survey by clicking here!